Rev. 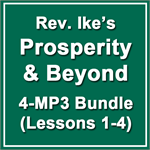 Ike's Prosperity and Beyond Bundle includes 4 of his ground-breaking MP3 teachings from this powerful series. 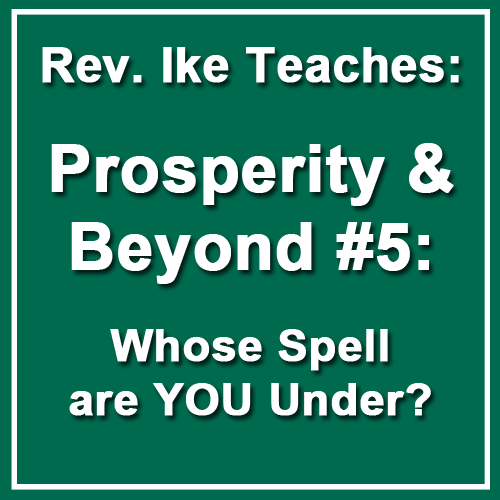 Prosperity & Beyond #5: Whose Spell are YOU Under? Rev. 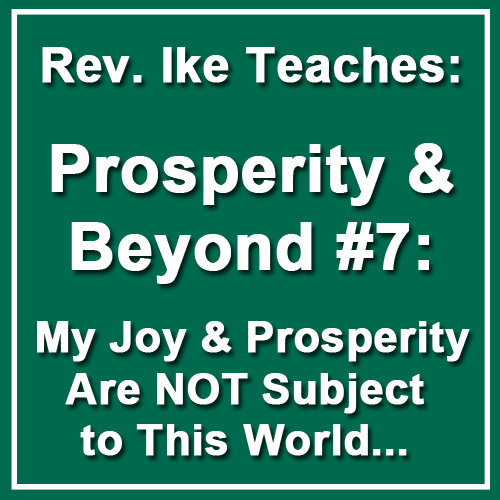 Ike examines the meaning of the Gospel, the God Spell, the Good Spell, the Healing Spell, the Joy Spell, the Rich. The beauty of this teaching is that it makes us aware that we are able to choose our spells. Also, Rev. Ike and Dr. Tony Mitchell add the science to a couple of the mysteries in the Bible. What gave Apostle Paul’s blessed handkerchiefs the power to heal the sick (Acts 19:12)? You do not want to miss part five of Rev. 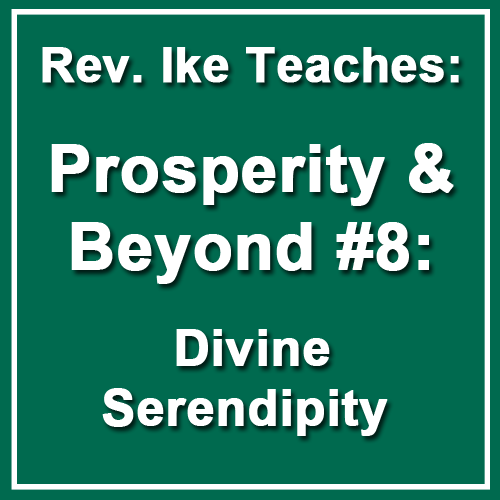 Ike’s twelve-part prosperity series. This lesson is not taught from a traditional perspective and it will challenge many of your beliefs and understanding of several Scriptures—all for your growth. Rev. 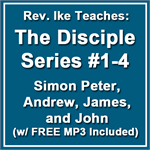 Ike examines the meaning of what it means to believe in Jesus. He addresses and answers the following questions: “Who gives you your identity?” “What is the meaning of the birth of Jesus?” “What does it mean to be about my Father’s business? “Where is everything you need and what can you do to get it?” Keep an open mind as you listen to this teaching and you may experience Christ Jesus in a new and exciting way. Rev. 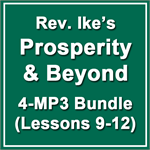 Ike examines the acquisition of riches and wealth from the physical, mental and spiritual aspects. Often we are already receiving, but we are unaware. Rev. Ike explains an aspect of prayer as it applies to your total well being, including your prosperity. Rev. Ike shares his insights into the Scriptures about the man lame from his mothers womb asking alms at the Beautiful gate (Acts 3:2-10) and shares how it pertains to our lives today. This seventh installment of Rev. 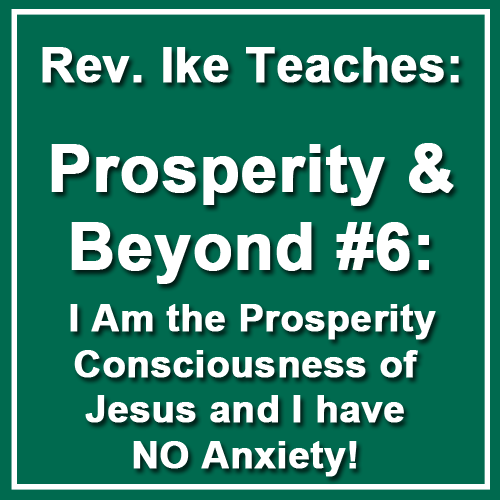 Ikes Prosperity & Beyond series is laughter-filled, esoteric insight-filled, eye opening and just plain entertaining! Rev. 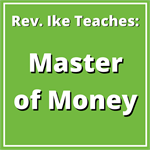 Ike examines the acquisition of riches and wealth from the mental aspect. Often we are already receiving but we are unaware. Rev. Ike said, “There are no poor people; only people who don’t know how rich they are.” There is singing and laughter and important Wisdom shared about how to allow the Lord to add all these things (Matthew 6:33) to you and your family. **Recorded live during one of Rev. 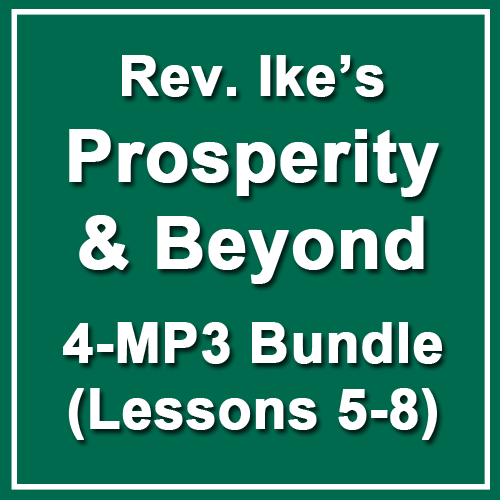 Ike's powerful sermons, there are sections where the volume will need to be turned up or turned down to clearly hear him; we have discounted the price for this reason.